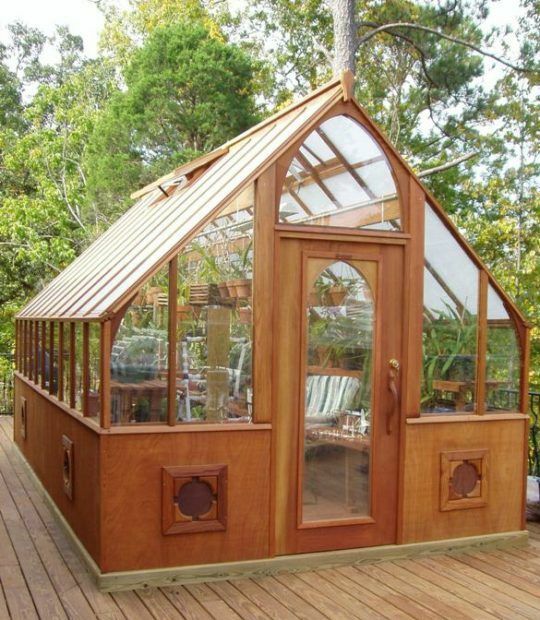 For years, man has had his “cave.” A masculine retreat which can incorporate any of the following, wine, cigars, football, elaborate theater systems and an occasional recliner. 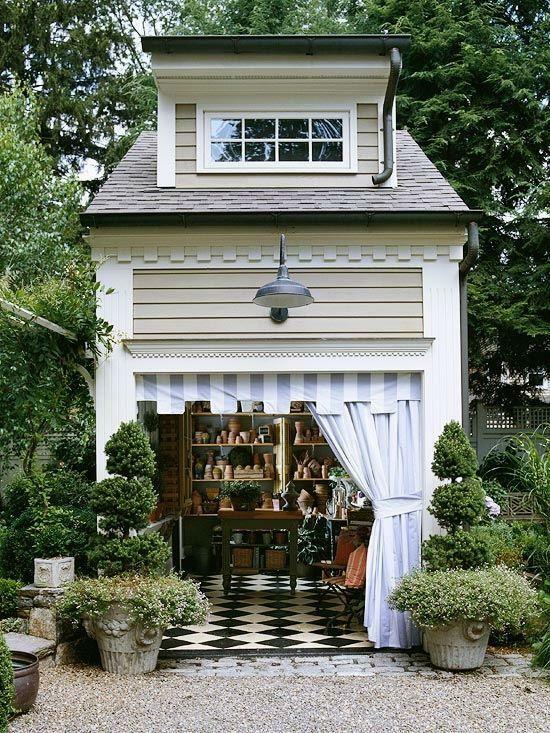 Then a few years ago someone created the concept of the “she shed,” and women around the world became enamored with the idea of having a backyard nook solely designed for more feminine pursuits. 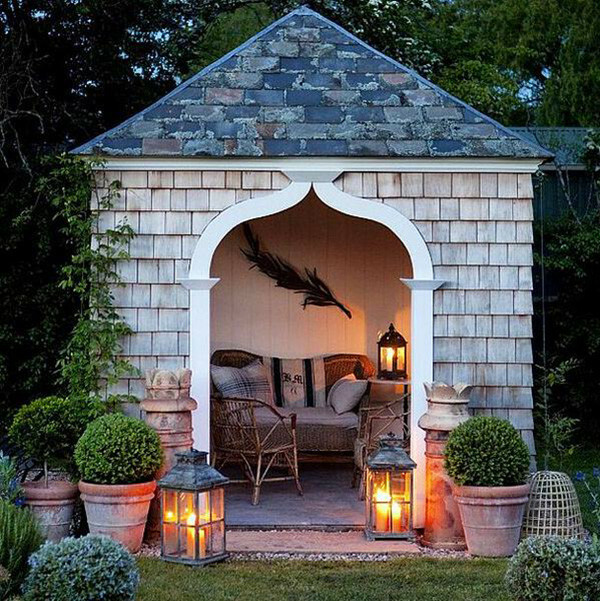 A “chic-shed” hideaway where they can enjoy a good book, a glass of wine or an intimate gathering of close friends. And welcome to our new weekly Series- devoted entirely to “looks we love” and we hope you will too! So if you are inspired to make a change, or are just design curious we hope you’ll follow along as we share our favorite looks in design. 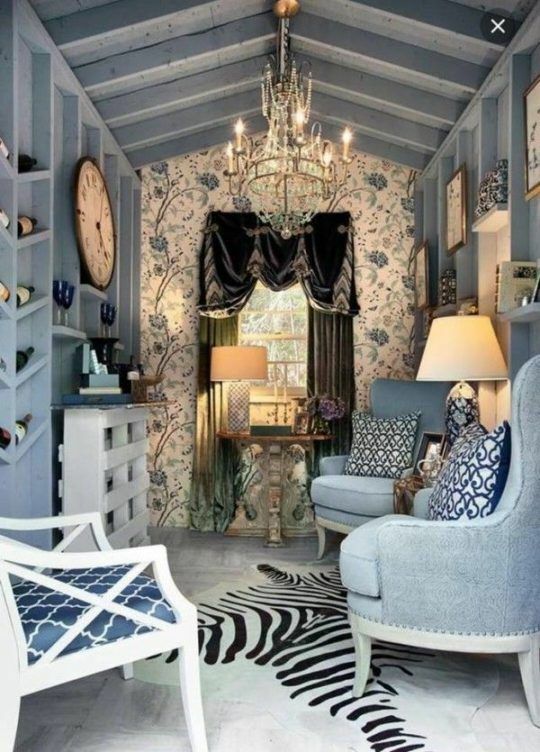 A formal retreat complete with a crystal chandelier, well-dressed windows, and stylish floral wallpaper. 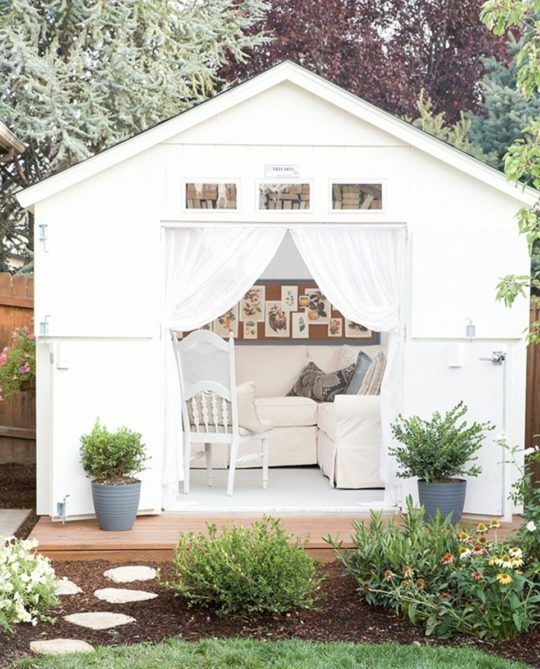 A quaint, yet stylish getaway with cozy upholstered furniture in soothing tones of white. 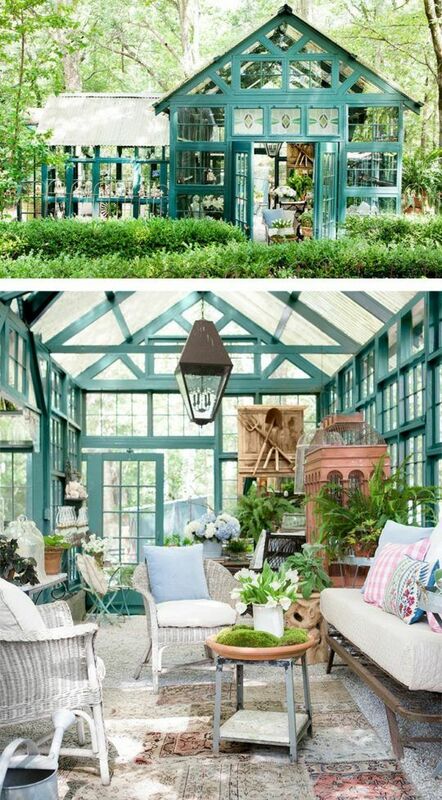 British style at it’s finest, layered in patchwork rugs, wicker furniture, and an impressive aviary. 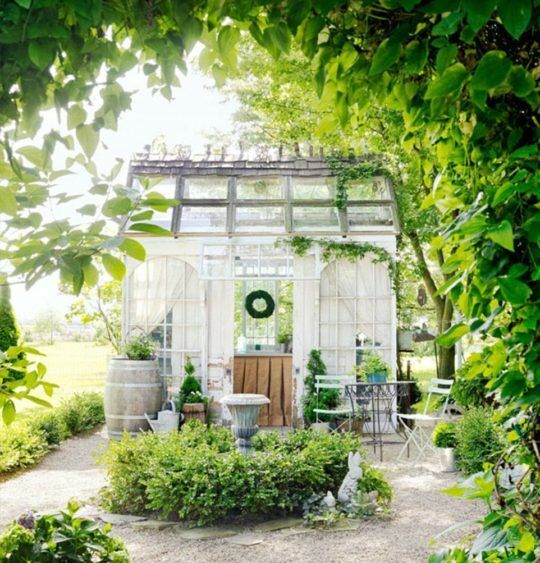 Nestled among the trees this glass “she-shed” is an escape from the ordinary. 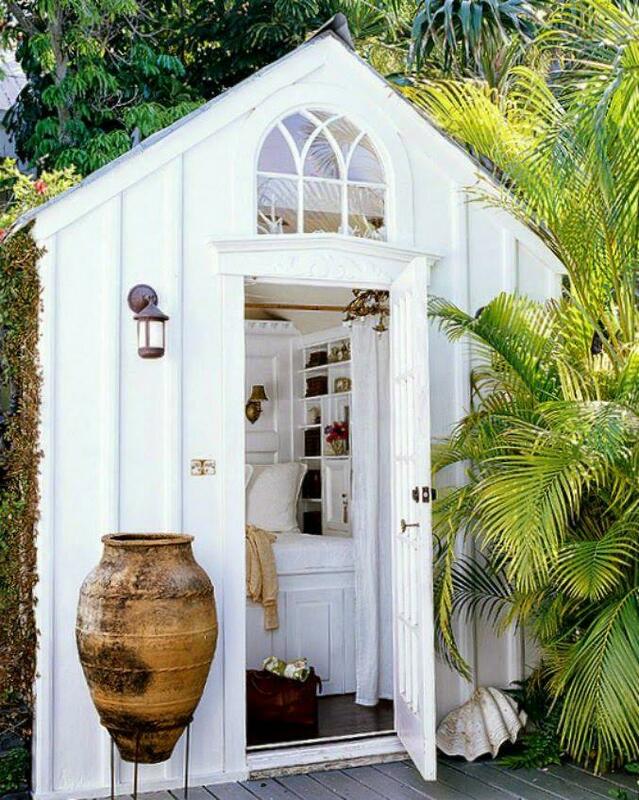 This coastal inspired retreat includes impressive paneling, a custom daybed, and built-ins amongst swaying palms. 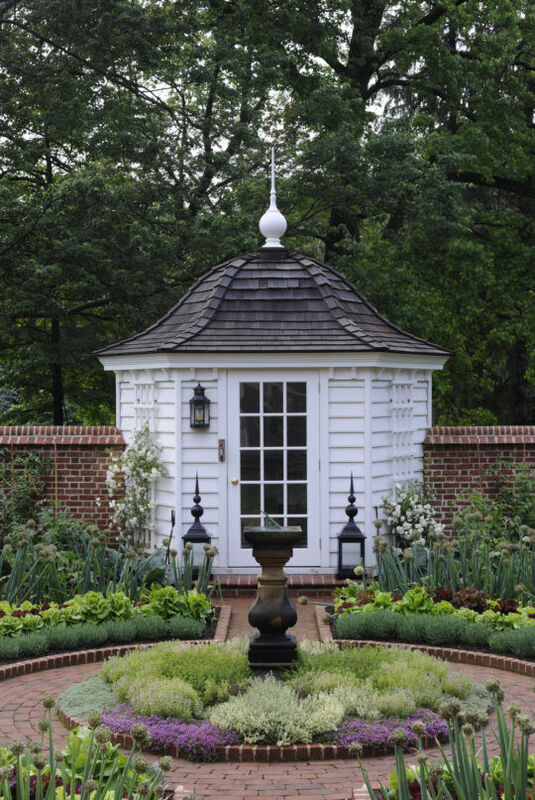 A tiny botanical haven perfect for the seasoned gardener and aficionado of great design. 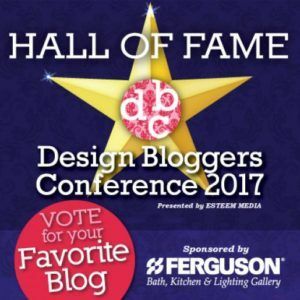 Recently our blog was again nominated as a Finalist for Best Overall Design Blog and Best Graphics at the Design Bloggers Conference taking place in Los Angeles in March. We are always honored when we are recognized by our peers. However, our readers determine the winner so if you enjoy our blog please cast a vote for us here. As always, appreciate your support it truly inspires us every day!